This entry was posted in Racing on April 18, 2014 by Steve Tilford. I had the pleasure to make my way over to the The Driveway in East Austin to do the local Thursday night’r last night. But, it was way more than the average local weekday training criterium. It was a full on, super organized race on near perfect asphalt. It was a blast. I have a hard time believing I’ve never done this race before. I’ve been down in Austin on Thursday nights a million times and, for the life of me, have no idea how I’ve not raced here before. The Driveway is a local car race track that is hidden back in the woods East of Austin. I’m not really sure how long the track is, last night they just used a lower section. 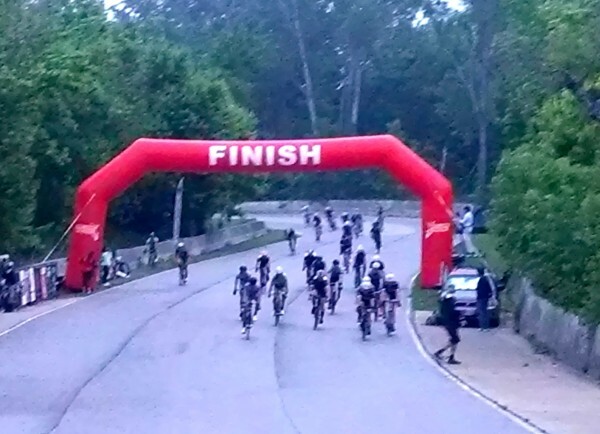 The track has a bit of rise, so it isn’t your everyday flat, boring racetrack criterium. I met Stefan Rothe over at Mellow Johnny’s and did the 10 mile ride over to the course with him and a couple others. It started drizzling pretty good on the way, nearly raining and I was thinking, “Oh great, a training criterium in the rain on a racetrack that probably has oil all over it.” But, no, the road surface is just about as pristine as it comes. The drizzle let up some before the start, but the two corners, if you could call them corners, were still wet. It was no problem though. The race was great. Nearly a 100 guys started the Pro 1/2/3 race. It was super wide open, thus very hard to establish a break. The speeds were high. I think it was a little over 28 mph average for the 55 minutes. I think there were 8 primes during the race. It came down to a field sprint, which I would think would nearly always happen on this course. 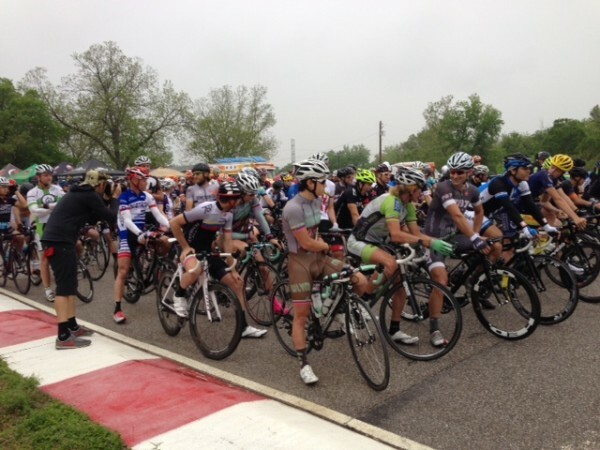 The Boneshaker Team and Squadra guys both lined up their guys. I was right behind Dave Wenger, from Squadra the last few hundred meters. I can’t really sprint too great when the speeds approach 40 mph. I’m much better uphill when I can stand all the way to the finish. This was a sitting sprint. I did make a huge mistake leaving Dave for the Boneshaker guys with about 200 meters to go. All that did was put me in the wind for a bit when I didn’t need to be. I ended up 5th, which is a little worse than I’d anticipated 500 meters from the finish. But, it was fun. Bill and I rode 40 miles in the morning yesterday, then riding to and from the race, I ended up with nearly 90 miles. Pretty simple. I rode back through East and downtown Austin in the dark, while it was drizzling. That might of been the highlight of my day. I love riding to and from races through new territory. Austin has some pretty interesting areas. Andrew Willis is the race director for this race series. He does it for 32 Thursday night throughout the year. Man, is that dedication. He seems to have it down though. I didn’t see a thing that I would change. 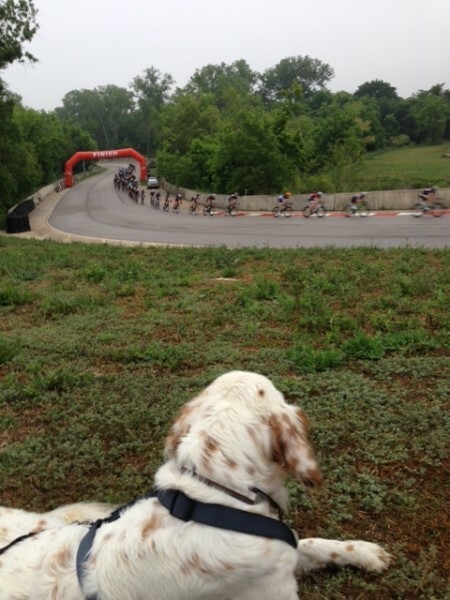 They had food, music, lots of dogs, and good bike racing. I have to say it is, by far, the best Thursday night training criterium I’ve ever done. And I’ve been to a lot all over the country. If you are looking for an excuse to come to Austin, this could be it. It is that good. I know a few guys did the 200 mile drive down from Dallas to race. We’re heading up to Dallas tomorrow to do a couple criteriums, The Matrix Challenge. The guys at Richardson Bike Mart put on the races in Garland. I’m not riding that great, but I think it is just temporary, hopefully. Lots of riders at the start of the race. The racing was just as hard as you wanted to make it. Super hard in the wind, pretty easy following. FInish sprint photo. The line was 10 feet before the banner. I’m in the middle about 5th, in the white helmet. 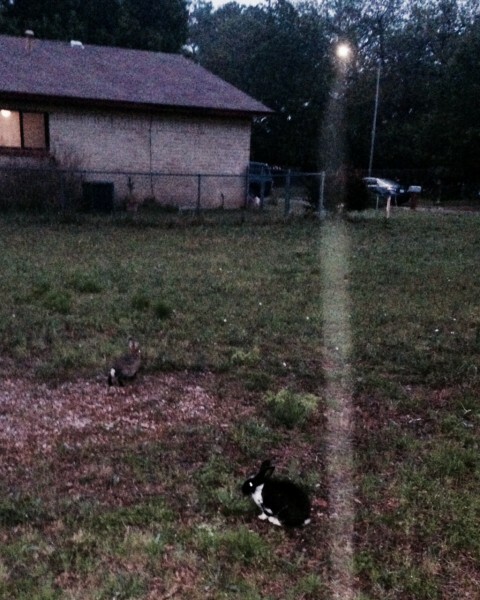 I saw these rabbits, at dusk, on the way back. I walked right up to the black and white one, could have picked him up. I had the worst double espresso I’ve ever had at Mellow Johnny’s waiting for Stefan. It was almost like they used cold water to make it. I would have returned it, but Stefan showed up right then. Easiest course configuration last night. You would probably like any of the others better. That’s one of the nice things about the Driveway, changes to the direction and loop keep it fresh every week. The espresso at MJ’s isn’t as good as it used to be before LA got popped. Wonder why? 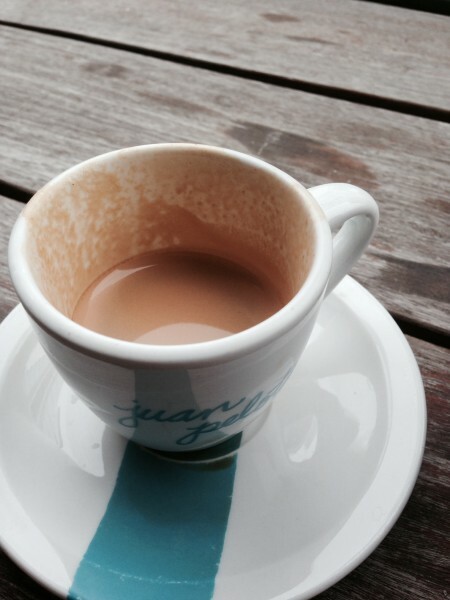 Give the espresso another chance, if you make it back by it is on me. What a great place Austin. I used to live on Dixon, Dr. Miss riding there. A lot. Any plans on having that talk w Lance while u r there? Hmm. Looks like Bromont had a pretty good view! Thanks for spreading some Driveway love Steve. Glad you had fun and hope to see you out there again soon! He opened a gap before a turn, looked over his shoulder to check the gap in the middle of the turn, and when he looked back there was a tree. God love ya but Steve you are 54 years old. You had what, 500 miles last week on 4 days and you didnt sleep one night? You are going just fine. Keep on inspiring the rest of us. Dog, Yeah it all goes back to Lance. Never mind the baristas who are just making a living. Steve, sorry you got a bad cup. Most people rave about the coffee. I suggest you take Will up on his offer. If you still don’t care for it, to each his own.